Ms Debbie White, trainer of Church Parade, declared a new weight of 31.7kg for the greyhound in accordance with GAR 39(2). Church Parade last raced at 30.5kg. Miss Travers and Got Some Zip were quick to begin. Buddie's Al and Church Parade were slow to begin. Keep On Runnin' checked off the heels of a Speedway Chick soon after the start. Got Some Zip galloped on the heels of Lanatis Dream on the first turn, checking both greyhounds. Got Some Zip and Doran's Flame collided on the first turn, checking both greyhounds. Church Parade and Got Some Zip collided on the first turn. Lanatis Dream hit the running rail approaching the home turn. Church Parade checked off the heels of Doran's Flame approaching the home turn and collided with Got Some Zip. Lanatis Dream faded in the home straight. Church Parade marred Doran's Flame several times in the home straight. Lanatis Dream was vetted following the event. It was reported that the greyhound sustained no apparent injury. Church Parade was vetted following the event. It was reported that the greyhound sustained a carpal sprain of the left wrist and an injury to the right long head triceps (monkey) muscle. A ten-day veterinary stand down period was imposed. Stewards spoke to Ms Debbie White, the trainer of the greyhound Church Parade, regarding the greyhound’s racing manners in the home straight. Acting under GAR 69(1) stewards charged Church Parade with marring. Ms White pleaded guilty to the charge, Church Parade was found guilty and suspended for 28 days at Ballarat and it was directed that the greyhound perform a Satisfactory Trial (all tracks), pursuant to GAR 69(2)(a) before any future nomination will be accepted. Hard Man Chapta was a late scratching at 11:41am due to weight variation +1.4kg (GAR 39). A ten-day stand down period was imposed. Ms Brooke Berry was fined the sum of $100. A pre-race sample was taken from Mr. Romantic. Punt Road Girl was quick to begin. Evie Willow and Mr. Romantic were slow to begin. Mr. Romantic and Fawn Secrets collided soon after the start. Sandulad and Fawn Secrets collided on the first turn. Evie Willow faded in the home straight. Evie Willow was vetted following the event. It was reported that the greyhound sustained an injury to the long head triceps (monkey) muscle. A seven-day stand down period was imposed. A pre-race sample was taken from Al's San Bow. Sight Screen, Mac Daddy, Monoak and Outta Ammo were quick to begin. Spotted Opal and Joe Panther were slow to begin. Dorset Dasha and Al's San bow collided soon after the start and again on the first turn. Mac Daddy and Outta Ammo collided several times on the first turn, checking Mac Daddy. Al's San Bow checked off the heels of Mac Daddy approaching the home turn. Sight Screen and Mac Daddy collided approaching the home turn. Dorset Dasha and Outta Ammo collided approaching the winning post. Gin Lee's Bullet and Bakali Louis wer quick to begin. Triceps Brachii was slow to begin. Krazy Jane and Bakali Louis collided approaching the first turn. Dyna Diedre and Triceps Brachii collided approaching the first turn. Mia Shan and Communique collided on the first turn. Communique and Triceps Brachii collided in the home straight. A pre-race sample was taken from Cosmic Don. Agent Barrry and Minnie Ha Ha were quick to begin. Don One, Got Some Cheek and Cosmic Don collided soon after the start. Zulu Fred and Chatterbox Laura collided soon after the start. Don One checked off the heels of Cosmic Don on the first turn. Chatterbox Laura checked off the heels of Got Some Cheek on the first turn. Agent Barry and Minnie Ha Ha collided on the first turn. Zulu Fred checked off the heels of Got Some Cheek on the first turn. Zulu Fred and Chatterbox Laura collided in the back straight. Zulu Fred, Chatterbox Laura and Cosmic Don collided on the second turn, checking You're Welcome and Don One. Minnie Ha Ha and Got Some Cheek collided several times approaching the home turn and on the home turn. Cosmic Don raced wide through the home turn. Minnie Ha Ha checked off the heels of Agent Barry in the home straight. Dyna Nancy, Speedy Ryder and Kalgoorlie Kid were slow to begin. Just Run Left and Why Not Archie collided soon after the start. Why Not Archie checked off the heels of Just Run Left approaching the first turn. Dyna Nancy and Full Of Boloney collided approaching the first turn. Just Run Left and Why Not Archie collided on the first turn, checking Just Run Left. Dyna Nancy and Full Of Boloney collided on the first turn. Full Of Boloney and Pepper Rock collided on the first turn. Full Of Boloney and Speedy Ryder collided approaching the home turn. Speedy Ryder galloped on the heels of Pepper Rock on the home turn. Full Of Boloney galloped on the heels of Speedy Ryder on the home turn. Dyna Nancy and Solar On collided on the home turn. Why Not Archie checked off Kalgoorlie Kid on the home turn. The Club Veterinary Surgeon examined Slipaway Whitey and no illness was detected. 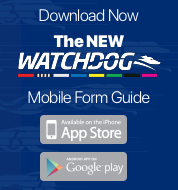 The greyhound was a late scratching at 11:40am due to weight variation -1.2kg (GAR 39). A ten-day stand down period was imposed. Trainer Mr Kevin Quinn was fined the sum of $100. A pre-race sample was taken from Ruby Rads. Snippyliss and Emio Bale were quick to begin. Destini Baby was squeezed out soon after the start. Crackerjack Shak and Winey Bago both checked off the heels of Emio Bale on the first turn. Destini Baby was held up on the first turn. Ruby Rads and Snippyliss collided on the first turn. Bella Express was quick to begin. Last Princess was slow to begin. Game Spirit checked off the heels of Bella Express soon after the start and collided with Nareen, Popowski, Cette To Dance and Hardy's Banjo. Nareen, Popowski and Cette To Dance collided on the first turn. Nareen and Cette To Dance collided on the second turn. Popowski galloped on the heels of Cette To Dance on the second turn. Flashing Lights was a late scratching at 11:33am on the advice of the Club’s Veterinary Surgeon due to diarrhoea. A three-day stand down period was imposed. A pre-race sample was taken from Moore of Moore. From The Shadows and Calabrese Bullet were quick to begin. Banjo Moment and Billy Swagger were slow to begin. Billy Swagger checked off the heels of Moore Of Moore soon after the start. Banjo Moment and Billy Swagger collided several times on the first turn, checking Moore Of Moore. Banjo Moment checked off the heels of Moore Of Moore on the first turn. From The Shadows checked off the heels of Calabrese Bullet on the first turn and collided with Hartley Matt. Zuberi was vetted following the event. It was reported that the greyhound sustained injuries to the right deltoid and left biceps femoris (thigh) muscles. A ten-day stand down period was imposed. A pre-race sample was taken from Destini Echo. Winlock Rose was quick to begin. Sidevalve was slow to begin. Bomber Lane and Krazy Blaze collided soon after the start. Sidevalve and Krazy Blaze collided on the first turn. Pupetta Maresca and Destini Echo collided on the first turn. Sidevalve and Pupetta Maresca collided on the first turn. Pupetta Maresca checked off the heels of Destini Echo approaching the home turn. Sidevalve and Krazy Blaze collided approaching the home turn. Sidevalve and Pupetta Maresca collided approaching the home turn. Djarragun and Pupetta Maresca collided approaching the home turn. Stewards spoke to Mr Alan Meyer, the trainer of Lady Isabella regarding the length of time the greyhound has had between races. Lady Isabella last raced on 29th November 2017. Mr Clayton stated that the greyhound was resuming from being seasonal. A pre-race sample was taken from Lady Isabella. Kilty Jewel, Wishes Fulfilled and Quicksilver Hope were quick to begin. Jesterday and Black Legend were slow to begin. Seabrook Dill and Lady Isabella collided on the first turn. Lady Isabella and Kilty Jewel collided on the first turn. Black Legend and Clavash collided on the first turn. Lady Isabella and Clavash collided on the first turn and again on the home turn, checking Lady Isabella. Lady Isabella and Clavash collided several times in the home straight. Satisfactory Trial – Returning from Retirement - Ginza Lion trialled over the 390m from box one, weight 32.2kg. The greyhound was placed fourth in a field of four. The time of the trial was 22.50, the greyhound was beaten by a margin of 8.75L. Ginza Lion was cleared. 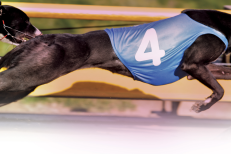 Satisfactory Trial Results - Hot Cruiser trialled over the 390m from box three, weight 32.2kg, the greyhound was placed first in a field of four. The time of the trial was 22.50, the greyhound won by a margin of 0.75L. Hot Cruiser was cleared. Satisfactory Trial Results (GAR 77A) - Stewards spoke to Mr Michael Vaughan, the trainer of Eily West, regarding the length of time since the greyhound last raced. Eily West last raced on 14 October 2017. Mr Vaughan stated that the greyhound was returning from a right hock injury. Pursuant to GAR 77A, Eily West trialled over the 390m from box five, weight 27.4kg, the greyhound was placed third in a field of four. The time of the trial was 22.50, the greyhound was beaten by a margin of 4.5L. Eily West was cleared. Satisfactory Trial Results - Starbright Vic trialled over the 390m from box seven, weight 33.7kg, the greyhound was placed second in a field of four. The time of the trial was 22.50, the greyhound was beaten by a margin of 0.75L. Starbright Vic was cleared.